When it comes to wardrobe building blocks, you can't get much better than a classic pair of chinos. These are crafted from heavyweight cotton twill that's smart and durable, but still has some stretch for comfort. We've given them a peached finished that's smooth and soft, and a hook-and-bar fastening for a refined look. Roll up the hems to reveal herringbone details, and turn out your pockets to admire the striped lining. Want a pair for the warmer weather? 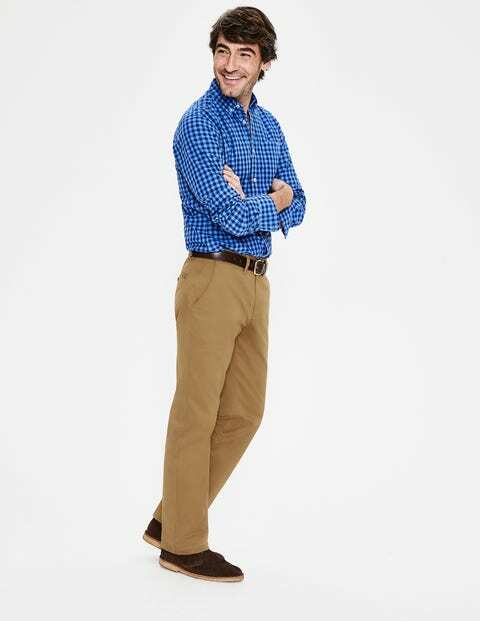 Check out our range of lightweight chinos.